For those of you who are unaware, the February edition of the SwagBag is going to be the last one. Luckily for those of you who were wanting to get some of the past boxes or have yet to get this month’s box you can go to their headquarters until the 6th of March and pick up any of the SwagBags for $2000. I’ve enjoyed receiving these boxes and I am a bit sad about them not continuing on but at least some really cool ideas and items came from them. 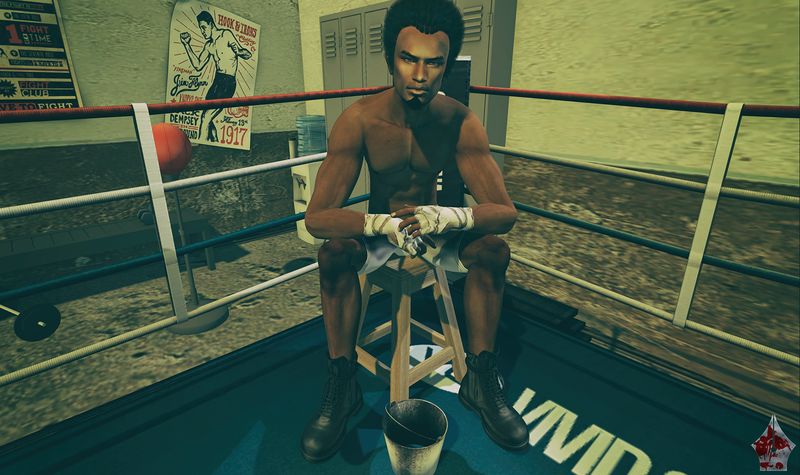 Inside the February SwagBag are two different pose sets from Come Soon Poses that feature boxing themes, one a singles pose set and the other made for couples. The gym backdrop is included and it’s just one of another well made releases from Come Soon. I enjoy their work and thought of an idea for using it and was finally able to put visuals to it. Modulus is a contributor to the February round of Shiny Shabby with the “Ty” skin. This is a little bit different from their previous releases as there are three new different tones that have been added to the ones we already know. New to the brand are the Almond, Caramel, and Espresso tones and also have separate Omega or Signature appliers for the body. When I first saw the ad for this I thought it looked exactly like Tyrese Gibson but I’ve found out from a very good source that it was actually model/actor Tyson Beckford who the skin was designed after. Either way, it is surely a great looking skin. 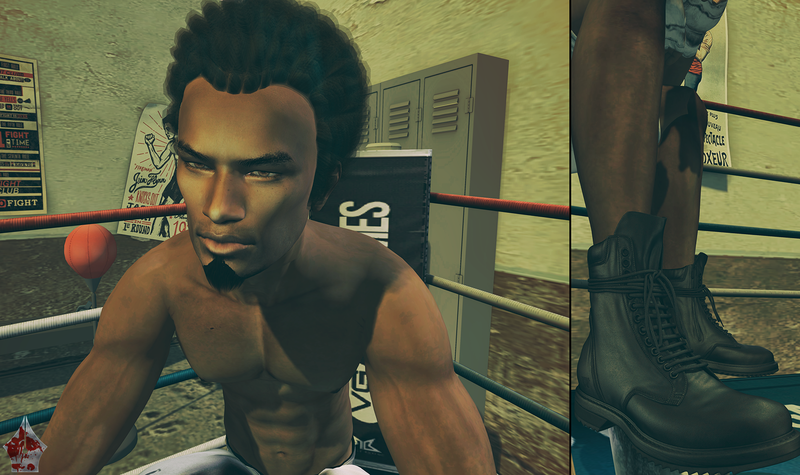 I also picked up a few things to complete my boxing look, the INHUMANE shorts from BLACKX come in 5 different colors and to go with the next item I purchased from the marketplace I went with white. Every boxer (no matter if it is professional or otherwise) needs to tape up their hands. There are not very many out there on for purchase that will work for Omega or [SIGNATURE] and that is what lead me to the MP. I picked up the white version of Mel Essence’s “Short Hand Wraps” They come in 3 different opacities (Light, Normal, and Dark). It’s time for me to put the “wraps” on this entry so I will leave you with the credits and the transportation to get there so I can get to work on “knocking out” another entry. Sorry, couldn’t help myself. As always, until next time…stay stylish fellas.